KIDS have been taught the basics of life saving skills in a fun an engaging new first aid program. 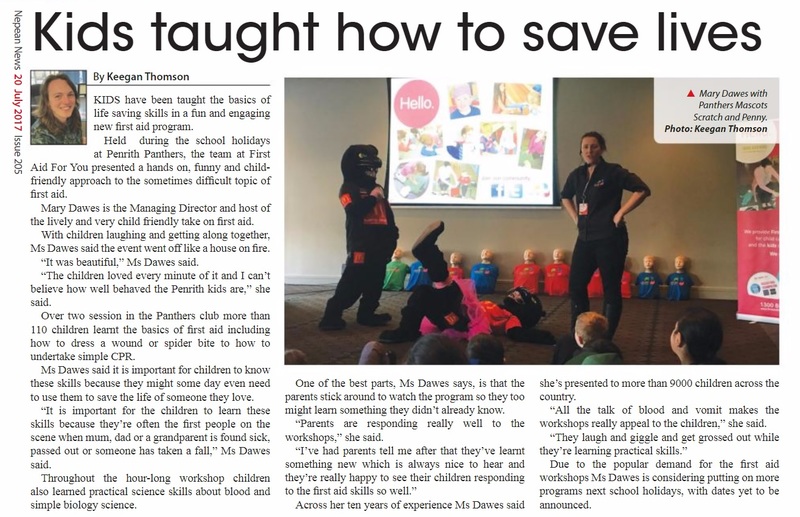 Held during the school holidays at Penrith Panthers, the team at First Aid For You presented a hands on, funny and child-friendly approach to the sometimes difficult topic of first aid. Mary Dawes is the Managing Director and host of the lively and very child friendly take on first aid.